"This could be your last trip." 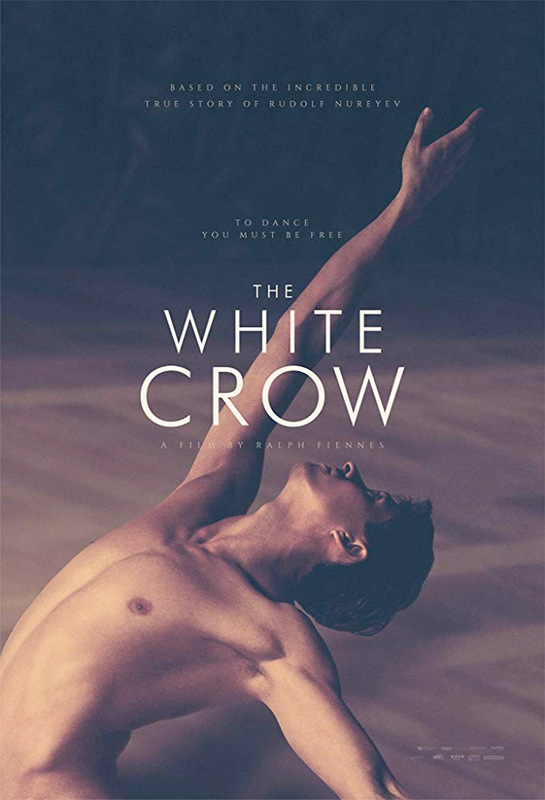 Studiocanal UK has debuted the first official UK trailer for the biopic drama The White Crow, the latest film directed by acclaimed actor Ralph Fiennes. It tells the incredible true story of renowned Russian ballet dancer Rudolf Nureyev, who managed to defect from the Soviet Union to the West, despite being closely guarded by the KGB, while traveling through Paris in 1961. Nureyev is played by real-life ballet dancer Oleg Ivenko making his acting debut, along with Ralph Fiennes in a role as his ballet coach Alexander Pushkin. The cast also includes Adèle Exarchopoulos, Louis Hofmann, Sergei Polunin, Olivier Rabourdin, Raphaël Personnaz, Chulpan Khamatova, Zach Avery, and Mar Sodupe. This premiered at the Telluride and London Film Festivals last year, and should be released in the US later this year. Based on the reviews and first look at this footage, this seems like it might be pretty good. Rudolf Nureyev (Oleg Ivenko), a remarkable young dancer of only 22, is a member of the world-renowned Kirov Ballet Company, travelling to Paris in 1961 for his first trip outside the Soviet Union. But KGB officers watch his every move, becoming increasingly suspicious of his behavior and his friendship with the young Parisienne Clara Saint (Adèle Exarchopoulos). When they finally confront Nureyev with a shocking demand, he is forced to make a heart-breaking decision, one that may change the course of his life forever and put his family and friends in terrible danger. The White Crow is directed by English actor-filmmaker Ralph Fiennes, director of the films Coriolanus and The Invisible Woman previously. The screenplay is written by David Hare; inspired by the book "Rudolf Nureyev: The Life" written by Julie Kavanagh. This premiered at Telluride and London Film Festivals last fall. Studiocanal will release the film in the UK this March, but the US release date hasn't been set yet. Stay tuned for updates. First impression?